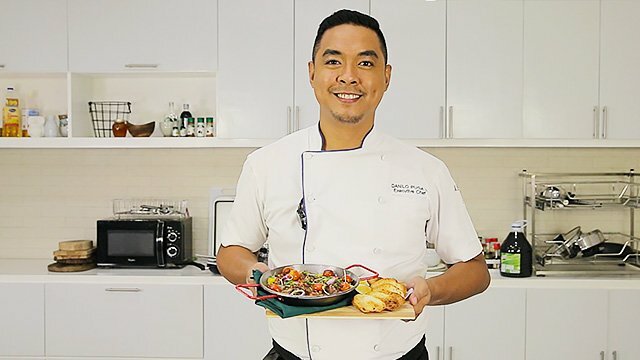 Funlasang Pinoy Twist Fest Champion Chef Dan shows us his winning recipe, plus the importance of always reinventing your dishes. 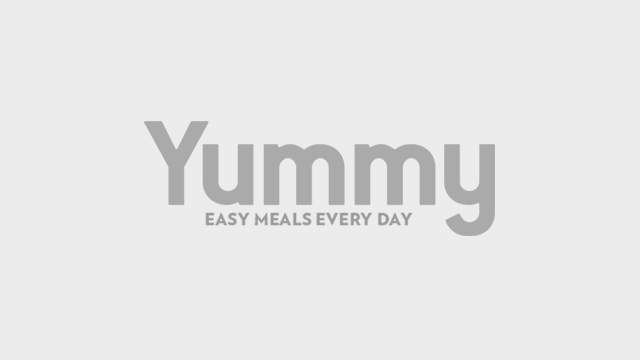 “Never stop looking for new methods and techniques para ma-promote natin ‘yung Filipino cuisine." Chef Dan has always loved cooking—and he has always been a fan of Filipino food. That's why when Unilever Food Solutions launched its first-ever Funlasang Pinoy Twist Fest competition, he did not hesitate to join. He was among the 10 finalists, and eventually emerged as the champion. Chef Dan made his very own version of sisig using octopus—an ingredient we do not get to taste every day. He also talked about the importance of innovation and the secret to doing it right. Watch the video and learn how to make your very own Octopus Sisig! You can also check Unilever Food Solution's Facebook page for more updates and creative ways to innovate classic dishes. Here's how you make your very own Octopus Sisig! 1 Roughly chop the grilled octopus then set aside. 2 Add canola oil to a preheated pan and sauté grated ginger until fragrant. Add red onion and garlic, making sure not to overcook or burn them. 3 Add bagoong alamang and octopus. Mix until well-combined. 4 Pour in coconut milk and Knorr Liquid Seasoning. Add salt and pepper to taste. Add chili finger and siling labuyo, then simmer for 2-3 minutes. 2 Transfer octopus sisig onto the hot plate, then add raw quail eggs and cherry tomatoes. 3 Sprinkle with spring onion and fried garlic. Garnish with dayap wedge and serve immediately.